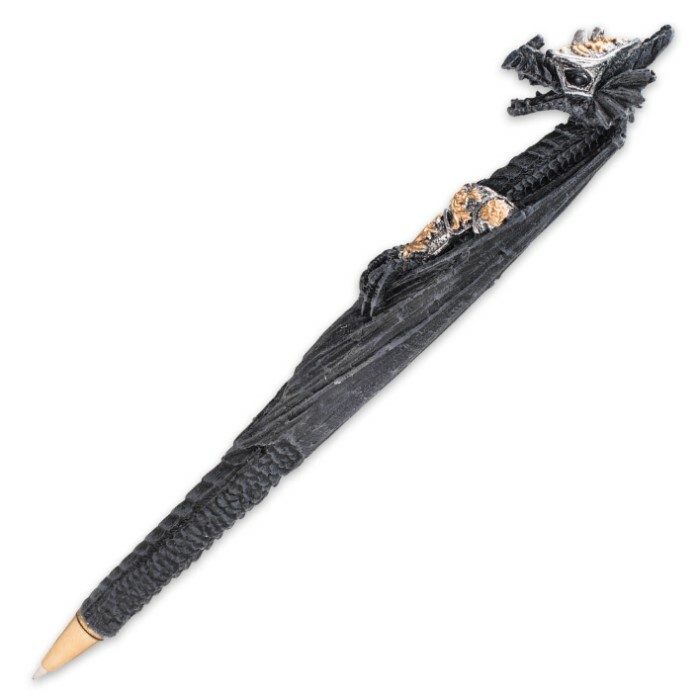 Armored Dragon Twin Pen Set - Two Polyresin Ballpoint Pens with Blue Ink | BUDK.com - Knives & Swords At The Lowest Prices! 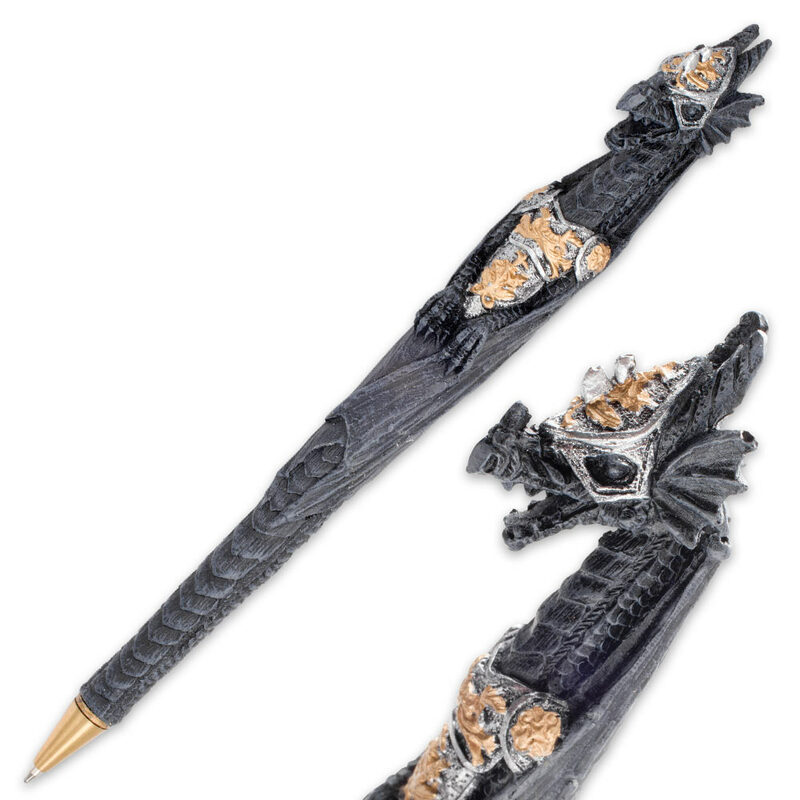 Our Armored Dragon Pen Set was made to commit your most powerful spells and incantations to parchment scrolls for posterity. Expertly sculpted from high-quality black resin, each pen in this exceptional twin pack mimics ancient, gracefully weathered ironwork. Silver and gold accents look as though they were cast from authentic precious metals. 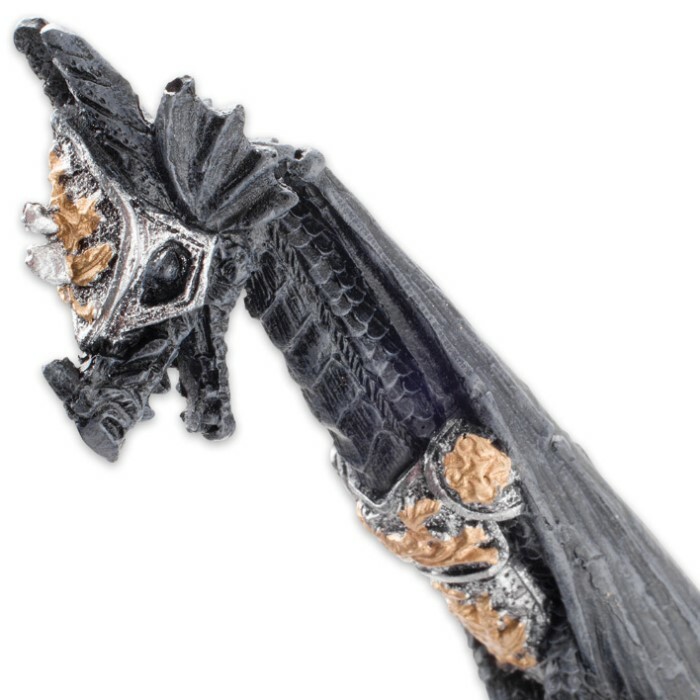 A dragon with its wings wrapped around it wears silver and gold armor to symbolize your writings being protected for all of eternity.